Check out these photos from a successful fist weekend of Take Pride in SML! Additional volunteers are needed for events on May 12 and May 19. Join us! Sign up now or plan your own event! 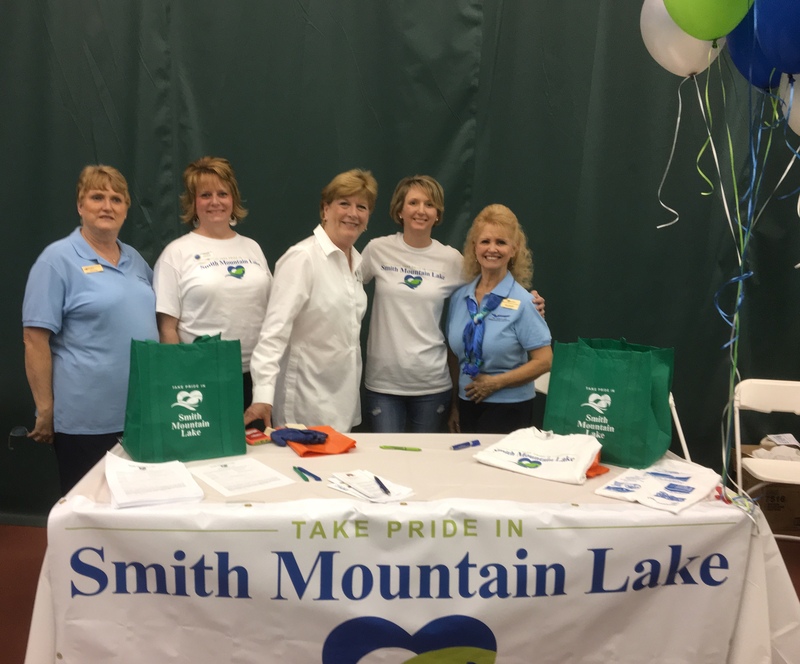 From left, Pam Alford, Lori Smith, Vicki Gardner, Andie Gibson and Paula Shoffner, members of the Take Pride in Smith Mountain Lake oversight committee, prepare to register volunteers at the 2018 SML Business Expo at the YMCA at LakeWatch Plantation. More than 50 people signed up at the Expo, receiving a free T-shirt, work gloves, heavy duty orange trash bags, a grocery tote and a ticket to a celebratory dinner at Mango’s Bar & Grill. 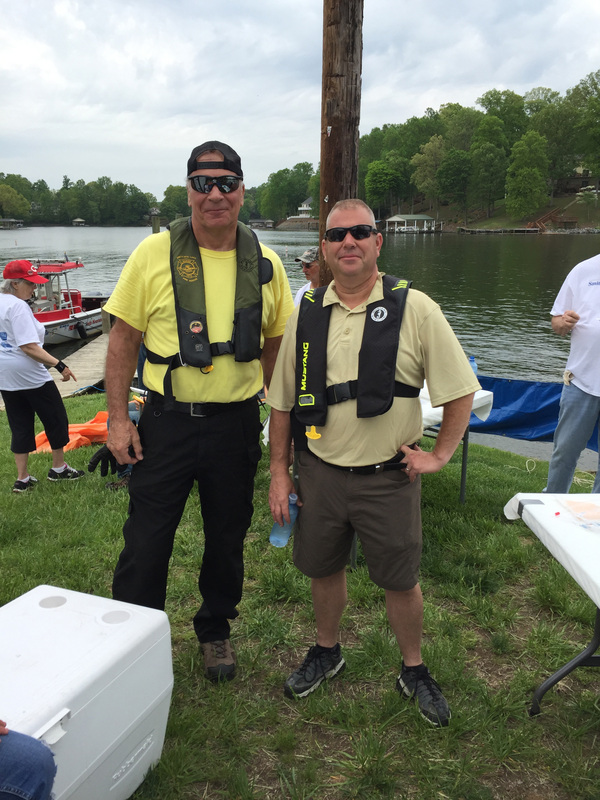 Lou Feldvary and Steven Small take a break from Take Pride in Smith Mountain Lake cleanup efforts on May 5 at Westlake Waterfront Inn at Indian Point Marina. The two are volunteers with Smith Mountain Lake Marine Fire/Rescue, which is coordinating debris pickup from docks of those not able to dispose of it themselves. Details on the program are available at takepridesml.com or by calling TLAC at 540-721-4400. 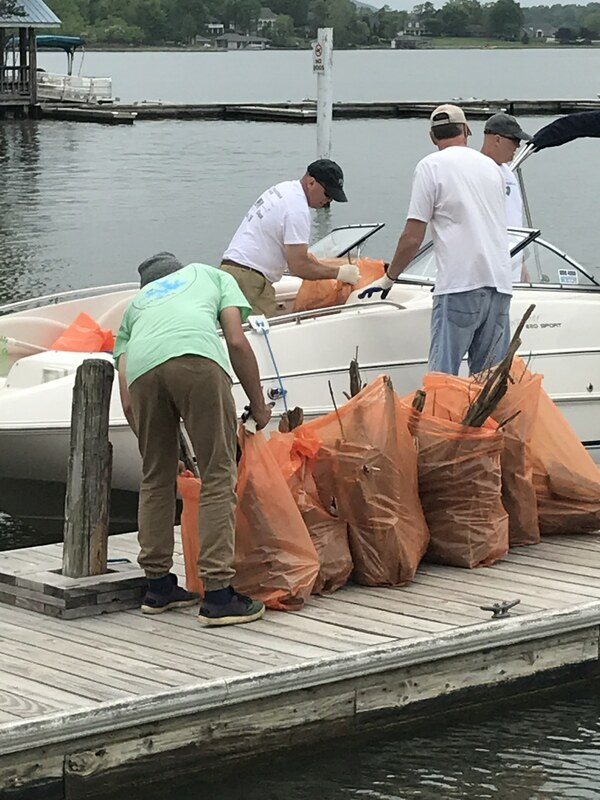 Smith Mountain Striper Club members help unload bags filled with debris collected on May 5 at Westlake Waterfront Inn at Indian Point Marina as part of Take Pride in Smith Mountain Lake. 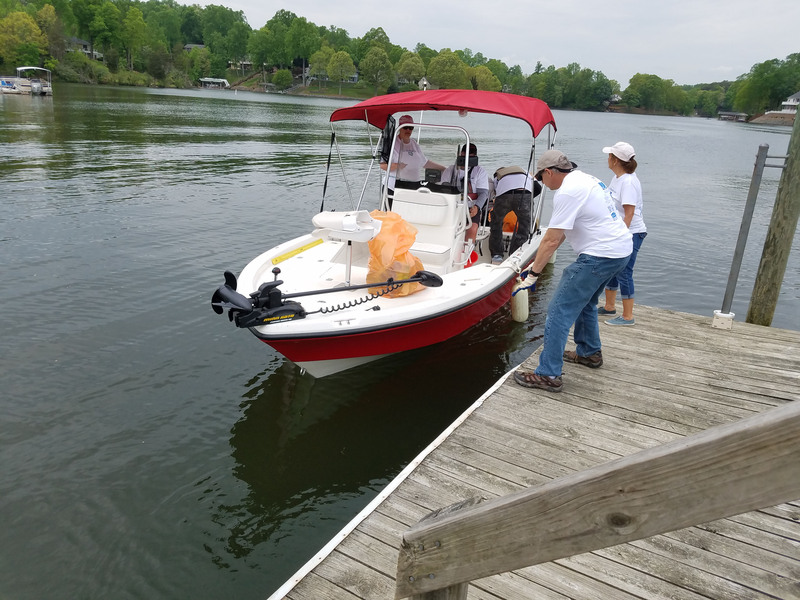 The cleanup events are organized each year by the Smith Mountain Lake Association, Tri-County Lakes Administrative Commission and Smith Mountain Lake Regional Chamber of Commerce. A skid steer loader operated by Take Pride in SML committee member Joe Long pulls up to be loaded with debris collected by members of Smith Mountain Striper Club and Smith Mountain Lake Marine Fire/Rescue on May 5. More than a dozen volunteers took part in the cleanup event at Westlake Waterfront at Indian Point Marina. 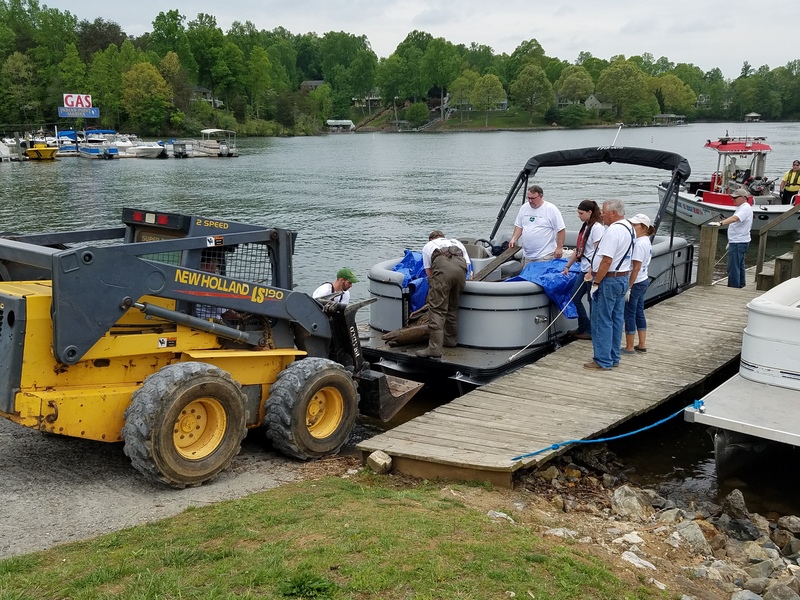 Volunteers at Crazy Horse Marina unload from a boat debris collected on the water May 5 as part of Take Pride in Smith Mountain Lake. The event’s signature orange bags, along with work gloves and a T-shirt, are available for free to all registered volunteers, including homeowners who clean up around their own shoreline. Download a signup form at takepridesml.com. This entry was posted in News on May 7, 2018 by takepridesml.